The Sub. Jr. Boys Football team of St. Mark’s Sr. Sec. Public School, Meera Bagh, participated in Mahindra Soccer Tournament 2011, held at Ganga International School and reached the quarterfinal stage. They defeated DPS Mathura Road by 4-2 and Bhartiya Vidya Bhawan, K.G. Marg, by 1-0. The team members were rewarded with a football dress each for their performance. 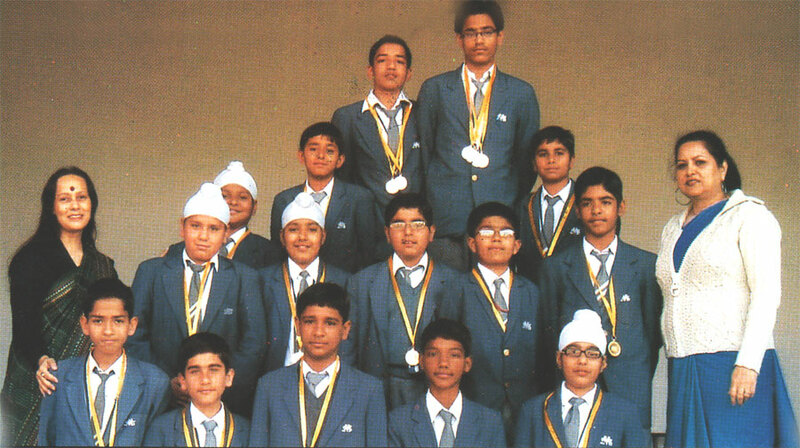 Krishna Durga (VIII-D), Tushar Chandra (IX-A), Shiva Narang (VIII-E), Saurav Grover (VIII-F), Aman Chhabra (VIII-B), Arjun Chopra (IX-D), Pratyaksh Yadav (VII-D), Shikher Juneja (VII-B), Simrat Singh (VII-B), Charit Middha (VIII-C), Ayush Chauhan (VIII-E), Bhavya Jaggi (VII-F), Kartikey (VII-B), Sagar Shokeen (VIII-E), Mayur Chauhan (VII-F),Tarun Bansal (IX-D). Senior Boys Football team of St.Mark’s Sr. Sec. Public School, Meera Bagh, defeated Shah International School and won the Championship in Zonal Level Football Tournament Zone XVII. In the Junior Boys category St. Mark’s Meera Bagh won the I Runners-Up. Mayank Sethi (XIC), Parth Dabas (XID), Geetank Kedia (XIC), Pranshu Rattan (XI), Rajat Chopra (XIID), Dhruv Dhawan (XIH), Mayank Goel (XIG), Karan Makkar (XIID), Rohit Bhatia (XIA), Aditya Goel (XID), Lakshay Khurana (XIA), Utkarsh Bhardwaj (XIH), Lovish Marwaha (XIA), Prateek Goel (XI) and Naman Mittal (XIB). The Football team of St. Mark’s Sr. Sec. Public School, Meera Bagh participated in the 14th All India Bhupinder Singh Memorial Soccer Tournament 2011 held at The Lawrence School, Sanawar, Kasauli and Himachal Pradesh from 23rd August, 2011 to 28th August, 2011. Eight teams from all over India participated in this tournament. Our school team played against YPS, Patiala, Vivek High School, Chandigarh and the Lawrence School, Sanawar. In these league matches Rohit Bhatia of XI A and Dhruv Dhawan of XI H scored 1 goal each. Our school team gave the opponents a tough competition. It was a learning experience for the team and the coach Mr. Dhanveer S. Kharola. They also visited the Hanuman Temple in Kasauli. The Football team comprised of the following members – Karan Makkar (XII D), Parth Dabas (XI D), Mohit Dagar (XII B), Rohit Bhatia (XI A), Dhruv Dhawan (XI H), Dhruv Vohra (XI D), Aditya Goyal (XI D), Hitesh Mandla (XI D), Rahul Yadav (X A), Getank Kedia (XI C), Rahul Shokeen (X D), Tushar Dureja (X B), Sahil Sareen (X F), Abhishek Lakra (X C), Chirag Chawla (IX B) and Pranshu Rattan (XI G). St. Mark’s Sr. Sec. Public School, Meera Bagh, made its presence felt in the Delhi State under-16 Football team. The matches for the Mir. Iqbal Trophy 2011 were held in Uttarkashi, Uttarakhand, from 20th to 29th January 2011. 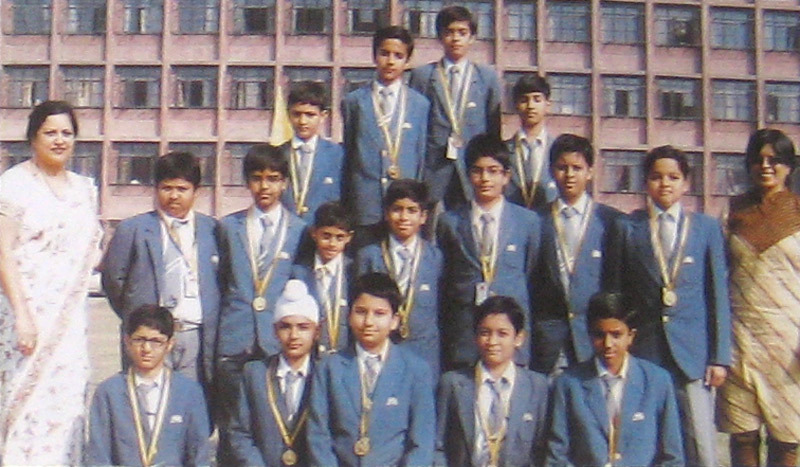 Dhruv Dabas of class VIII B of St. Mark’s Meera Bagh, was selected in this team. He represented Delhi alongwith 19 other players, where they got an opportunity to play with teams like Haryana and Chandigarh. Under the able and unending encouragement of the school and Delhi State Soccer Coach Mr. Dhavneer, the matches became a learning ground for the team. They returned with a wonderful experience. 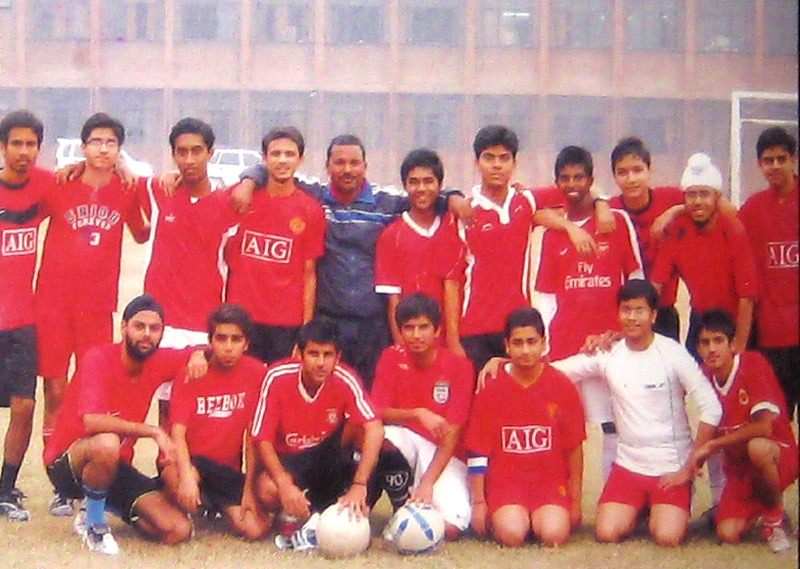 Our students participated in Football Matches which were held from 26 October 2009 to 3 November 2009 at St. Xavier’s School. There were four groups consisting of three teams each. We reached the Semi Finals and bagged a ‘Fair Play’ Award and the coach of the team Mr. Dhanveer, was awarded the best coach. Piyush Karnani (XI D) was declared the Player of the Match. It was indeed a glorious day when our Sr. Football team qualified in the CBSE Football Tournament held at Ganga International School, after defeating the team of SBDAV School by 3-0 and then qualifying for the quarter final by defeating Vasant Valley School by 2-0 using their skill and determination. Our team did its best at the quarter final match against Air Force Bal Bharati School but were unable to win. Vinayak Pandey (XII F), Sahil Chopra (XII F), Gurupratap Singh (XII A) and Piyush Karnani (IX G) contributed substantially to the team's success in reaching the quarter final stage. Our football lovers of classes IV-XII were overjoyed to meet the FIFA President Mr. Josesh Sepp Blatter, the AFC President, Mohammad Bin Hamman and Mr. Priyaranjan Das Munshi, the head of AIFF. It was a great privilege to great these honorable people of the House of Indian Football. The students received T-Shirts with a photograph ot Mr. S Blatter and caps of AIFF. A moment to cherish ! Bhuvan Kapoor of class IX F, went to play an international Soccer Tournament in the under -14 category which was held in US (Ohio) representing India, which is indeed a great feat. In Bhuvan's words," We stayed at John Caroll University which was one of the biggest universities of Us. We played three matches which were against Proshottas, Us and a state of Argentina. Our team gave a good competition to them. We visited the largest amusement park known as Cedar Point. We stayed there for five days. Though the tournament was won by Proshottas. I learned a lot from my experience and I will try to improve my skills". We are indeed proud of him!